Saccharomyces (pro: sac-ar-o-my-sees) is the genus of fungi that includes multiple species of yeast. The name, which is Greek in origin, comes from combining saccharo (σάκχαρις) "sugar" & myces (μύκης, genitive μύκητος) "fungus". This amazing single celled organism is the unsung hero of fermentation and baking. Without it - beer, wine and bread (our three all-time favourite things) would not exist. Saccharomyces has the power to transform something pedestrian into something extraordinary and we work from the same template. Our mission is to be more than an ordinary pub. We reference the best traditions of food and drink in our beer-hall inspired environment with a contemporary twist, providing a setting where strangers can meet, enjoy our modern menu and know exactly where everything on their table comes from. Put simply, we want to unite some of the best products available with the people who seek them out. With rotating & seasonal fluid and food menus, you can expect to find something a little different each time you visit. To be kept in the loop for special events and promotions, sign up to our ministry of information here. Find your morning motivation and evening reward in fish lane. 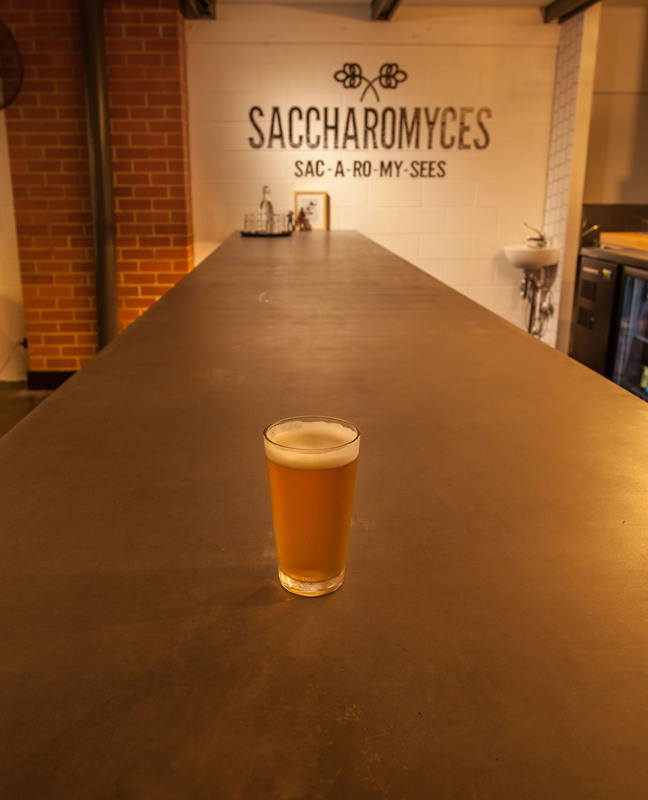 Hidden down Fish Lane in South Brisbane, Saccharomyces Beer Café is waiting. A specialist craft beer focused bar offering an extensive range of local and imported craft beers on tap and packaged. The venue is an advocate for the craft beer industry and refuge for craft beer lovers in a comfortable, welcoming environment. Saccharomyces will cut through the confusion of choice and provide expert opinion and guidance on the best available brews that will most suit the individual's taste and circumstance. Beer is accompanied by local and imported wine and classic comfort food available prepared daily by our incredible kitchen team. As a reflection of rotating beer taps, our food cycles with the seasons and is sourced from the best specialty producers. Get your coffee fix with beans by the Artisan Coffee Roaster. Our coffee is a unique blend provided by local roaster The Artisan Coffee Roasters. Each month we have a speciality single origin or blend in addition to our house blend. We have lunch and bar snacks 7 days a week. Our menu covers everything street-food inspired main meals to beer snacks and blackboard specials. We offer 10 taps of rotating goodness and a fridge full of delights from near and far. Between our beer, cider and wine collections: we've got a taste for every palate.